We have three rooms. One loft with a kitchen, shower and toilet, and two rooms sharing a shower and toilet. The loft has a kitchen, shower and toilet. There is room enough for a second small bed for a child. Price: 98 euro a night, no breakfast. Including breakfast: 7,50 euro extra per person. 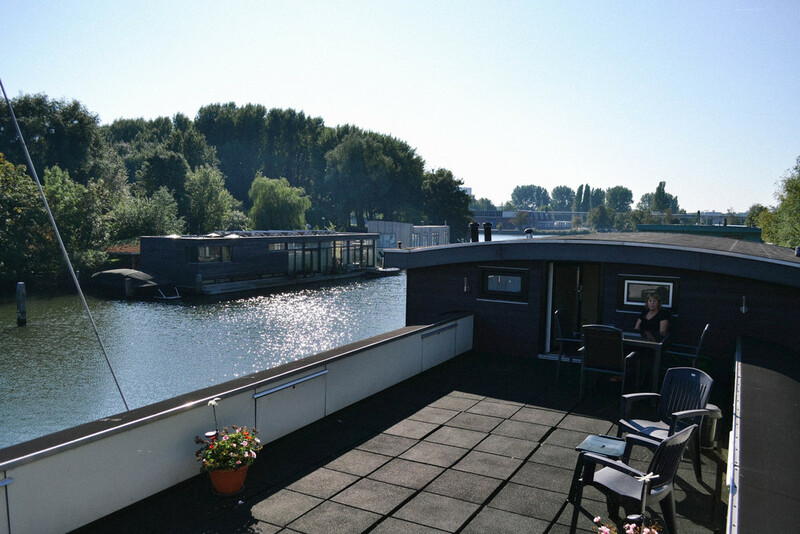 Room Dennis, with view on the canal with ducks and all! We have two Bed and Breakfast rooms. If you take one of the rooms, Room Dennis or Room Laura, the other room will not be used. So you have the whole floor with your own shower and toilet. 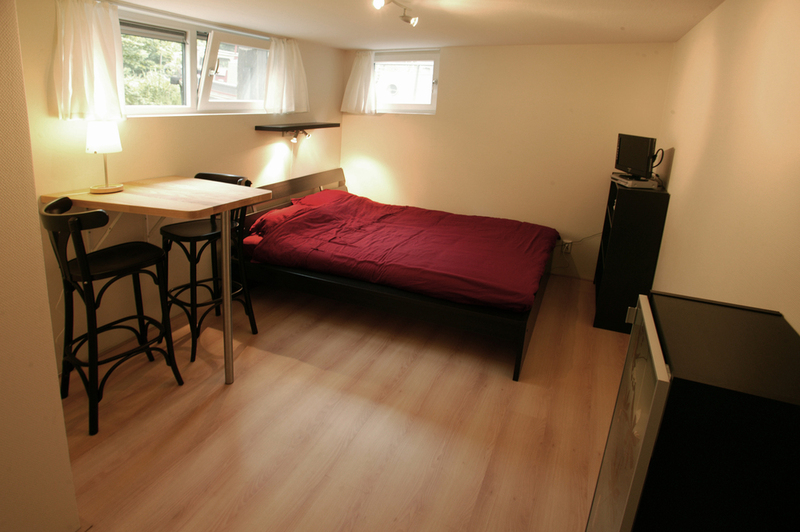 Of course, if you are with four persons you can rent both rooms. In that case you share a shower and toilet with Room Laura. 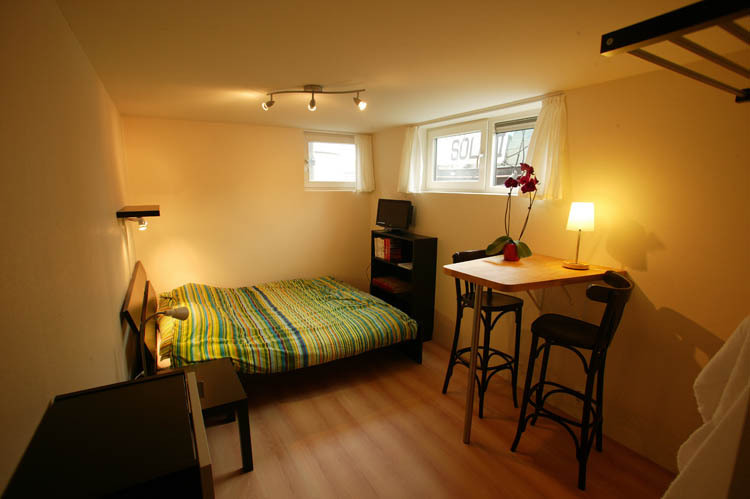 Price: 76 euro a night, breakfast for two people included. On the same floor as Room Dennis is a second room, Room Laura. If you take one of the rooms, Room Laura or Room Dennis, the other room will not be used. So you have the whole floor with your own shower and toilet. Of course, if you are with four persons you can rent both rooms. In that case you share a shower and toilet with Room Dennis. The terrace on the roof is for every guest. It gives an excellent view on the canal and the green park and trees. Here you can smoke, have breakfast or a nice evening. The terrace in front of the ark is also open for guests all day. The view from the terrace on our canal. In the background you see the church on the dike with traditional Dutch housing, only a lovely 5 minutes walk from the Bed and Breakfast.